The Justice Department's move to block AT&T's proposed $85 billion bid for Time Warner puts on hold a slew of media and telecom transactions that may have been in the works. And it could upend the antitrust precedent that has created some of today's biggest media companies. Why it matters: The lawsuit is not only a blow to AT&T, but also to other companies hoping that similarly structured deals that combine content producers and distributors have a shot with the current administration. It could also bring new scrutiny to the size and power of Google and Facebook, which have become media powerhouses in their own right. The lawsuit is also a surprise. Despite President Trump's campaign-trail criticism of the deal, it was widely expected to win government approval from a Republican Justice Department. Rumblings that regulators had serious concerns about the deal only surfaced in the past couple of weeks. "It creates vast uncertainty," said former FTC policy director and antitrust expert David Balto, who doesn't think the DoJ will win its case in court. "You have to go back half a century to find a DoJ victory in this area." "Vertical" mergers that combine companies in two different industries (AT&T is considered a telecom company and Time Warner is a content provider) are seen as less of an antitrust threat than "horizontal" mergers that combine two competing companies (such as AT&T's unsuccessful attempt to purchase T-Mobile). 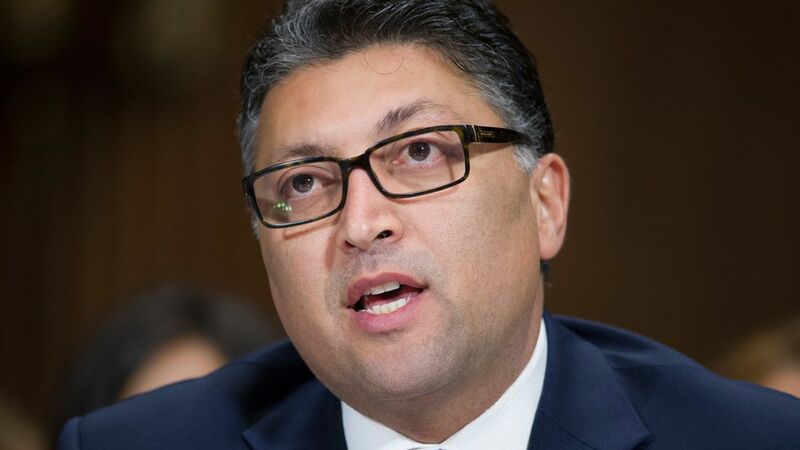 Before joining the administration, DoJ Antitrust chief Makan Delrahim had said he didn't see problems with the proposed merger. He also said at his confirmation hearing that he would not allow political interference in merger reviews. In a similarly structured deal, Comcast was allowed to buy NBCUniversal in 2011, albeit with conditions designed to prevent Comcast from using its market leverage to hamstring competitors. The big picture: A number of telecom providers want to deploy their own streaming services with original programming to keep up with the likes of Netflix and Amazon. To do that, many are exploring entertainment acquisitions to keep up in the cutthroat race for content. AT&T's bid for Time Warner was a litmus test for others who are also eyeing deals. For example, Verizon and Comcast have both expressed interest in 21st Century Fox's entertainment business. This mirrors AT&T's bid, because it would involve the acquisition of studio businesses as well as cable channels. What to watch: The Justice Department said the combined company "would have the incentive and ability to charge more for Time Warner's popular networks" and that it could keep others out of the streaming video market. A deal may still be on the table if the companies are willing to sell off some assets to address antitrust concerns, according to Justice officials, who also stressed that its move to block this particular merger does not mean others won't pass muster. AT&T plans to fight it court, saying its conclusion is a "radical and inexplicable departure from decades of antitrust precedent." AT&T's Randall Stephenson will continue to raise the possibility of White House interference in the case, given the "abrupt change in the application of antitrust law here." The impact: If DoJ loses the case, it could spur a flood of consolidation. If it wins, it could set a new precedent that changes the conventional wisdom about the competitive impact of vertical mergers. The legal fight may also bring a new focus on the question of media competition and the size of the most powerful players — notably Google and Facebook. AT&T and Time Warner execs originally pitched the deal as a way to build a stronger rival to the major platforms companies like Google, Facebook and Amazon, which are gobbling up a growing share of programming and have drastically altered distribution models. Stephenson noted that these companies, in addition to Netflix, are also creating original content yet have so far been unchallenged by antitrust cops. Mark Cuban, who testified in favor of the deal at a congressional hearing last year, tweeted that Facebook and Google will be the big losers of DoJ's suit to block the deal. "Their media advertising, content and distribution dominance will be a defense at trial. That could create bigger issues for them." The bottom line: Despite the intrigue about White House influence, the antitrust case will rest solely on the competitive effects of the deal, said Gene Kimmelman, CEO of Public Knowledge and a former DoJ antitrust official. "In the end, this is about law enforcement," he said. "Regardless of speculation about political environment surrounding the transaction, the only thing the court will care about is whether the merger is a violation of the Clayton Act."